A fabulous way to enjoy simple applique and embroidery. 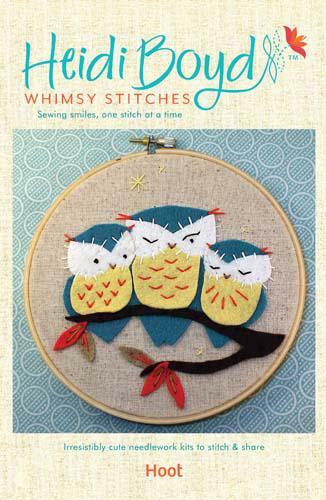 Each kit includes almost everything you need to make a darling needlework creation. Simply cut the template pieces out of felt and embroider them onto the stretched fabric. The colored placement diagram and illustrated stitch guide guarantee your success. Needlework has never been easier or more enjoyable. Includes 6" embroidery hoop, base fabric, felt squares, embroidery floss, full sized templates, colored placement diagram and illustrated stitch guide.